Phil Gordon’s Seattle-based Tetrapod Software has attracted investors to the tune of $2.35 million for its soon-to-be released collaboration software product Chatbox. Seed investors include several tech-savvy experts, including former Yahoo President Sue Decker and PayPal veteran Scott Banister. Gordon says that while the startup currently has six employees, Chatbox will largely use the latest round of funding to hire executive leadership and computer engineers in early 2015. The service will reportedly allow users to collaborate integrally through email by simply cc’ing [email protected] to any message. According to Gordon’s website, Chatbox gives workers, friends, and businesses the ability to communicate privately and securely, from drag and drop file sharing, chat, emoji, notifications and more all through the convenience of email. The service reportedly boasts the ability to connect instantly, without the hassle of using “reply all” or downloading and installing a client program. 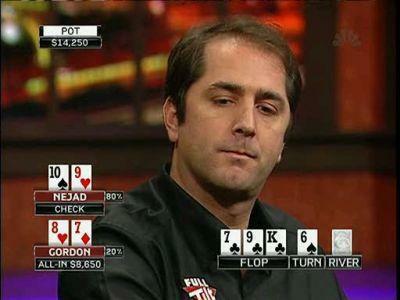 Gordon is already known for his business pursuits as much as his actual poker playing accomplishments. The 44-year-old Washington State native hasn’t had a cash in over three years, but he still remains a predominant figure in the poker universe. Aside from providing commentary on Bravo’s “Celebrity Poker Showdown” and for multiple World Series of Poker events, Gordon is a serial entrepreneur who is always on the lookout for the next big thing. Consistently using Twitter to promote ideas he believes in (i.e., most likely run by his friends), Phil has recently pushed everything from Skillshare, a learning community for creatives, to an online spice and rub company called Spiceologist. Software companies come with high risk, but also high reward. Fresh out of Georgia Tech with a degree in computer science, Gordon became Netsys Technologies’ first employee in the early 1990s. A few short years later, he would become a millionaire after Cisco bought the company for $79 million. Phil decided to retire from the high-tech industry, opting to travel and try his hand at poker. Now Phil No Limits is back in the businesses, albeit an industry much more crowded with developers than the one he left in 1997. The verdict on whether the demand exists for private collaborative chat rooms to support a multimillion-dollar business model remains to be seen. However, one thing that’s for sure is Gordon’s aggressive nature. One should expect the former poker pro to go all-in to make sure Chatbox has the best odds at being successful.